On January 14 Rihanna hit up SOB’s nightclub in NYC to support her friend 718 Spank, an upcoming rapper. The singer looked fabulous in a black outfit with a touch of neon. The most-talked about part of this outfit is her sunglasses. The oversize shield sunglasses have the singer-turned-businesswoman’s “Fenty” logo on the sides. The day before she wore a red pair of the same style. Currently there’s no confirmation on whether this is a new venture/collaboration for Rihanna or if it’s just a customised pair by an unidentified brand. But I’ll keep you posted. Let’s get into the rest of this look. Rih covered up from the cold with a Vetements blazer. This piece is kind of interesting since we’ve never seen her in it before but it first appeared in the brand’s Spring/Summer 2015 show. 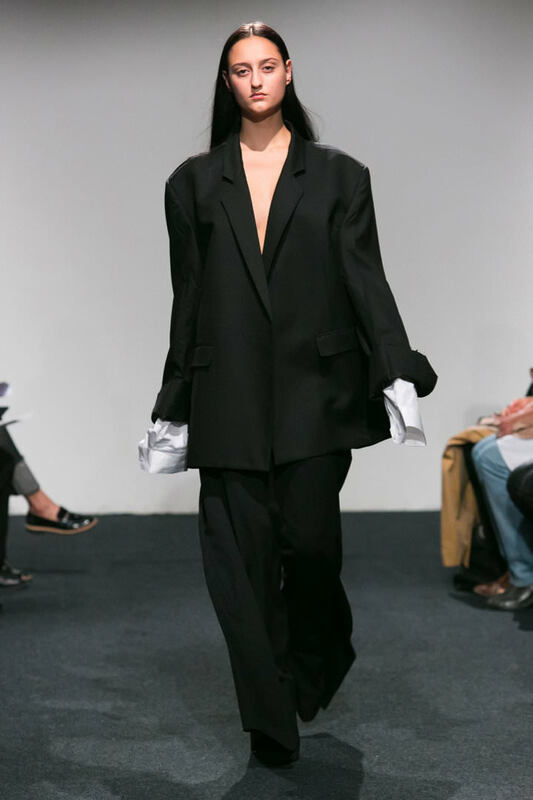 The oversize jacket has a single button, two side pockets and elongated sleeves that have frayed, unfinished edges. Under that she rocked a chartreuse mesh bodysuit ($480) by Maison Margiela. It has a crewneck, long sleeves and press-stud fastening at the bottom. Since the bodysuit is so sheer we got a peek of her Savage x Fenty bra. 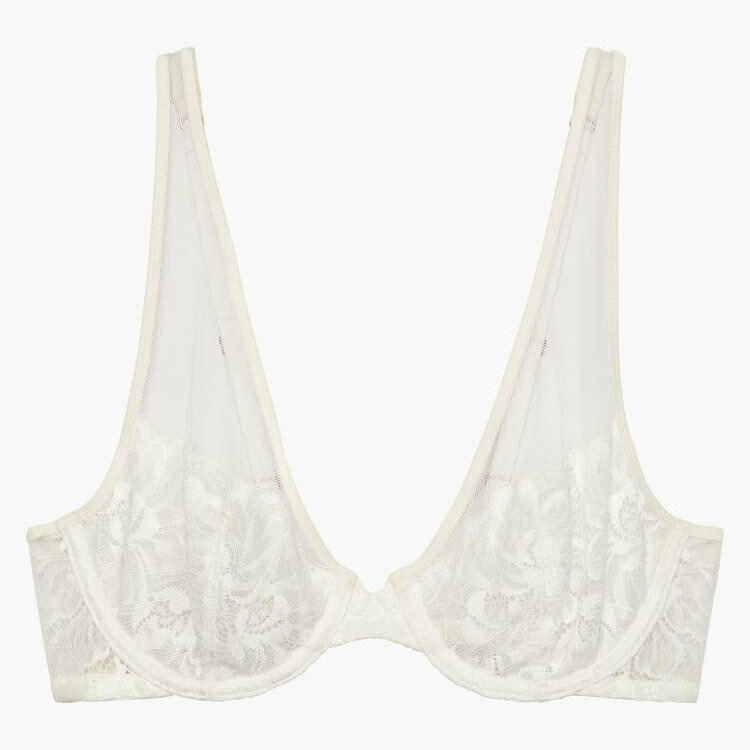 It’s the the Mesh and Lace bra in pearl ($54), which is unlined and features lace overlay, underwire and rose gold-tone hardware. When it comes to black jeans the superstar has always worn Citizens of Humanity‘s Avedon Slick skinny jeans in Axel (black). They are pretty perfect if you are looking for classic black skinny jeans. The Avedon features a five pocket design and has the brand’s iconic logo stitched onto both back pockets. It seems Rihanna’s favoured style is not available online anymore but you can get the low-rise ultra skinny from Citizens of Humanity’s website for $198 or the mid-rise version from Selfridges for $260. Rih paired the jeans with Balenciaga‘s stretch-jersey Knife boots ($1,290). 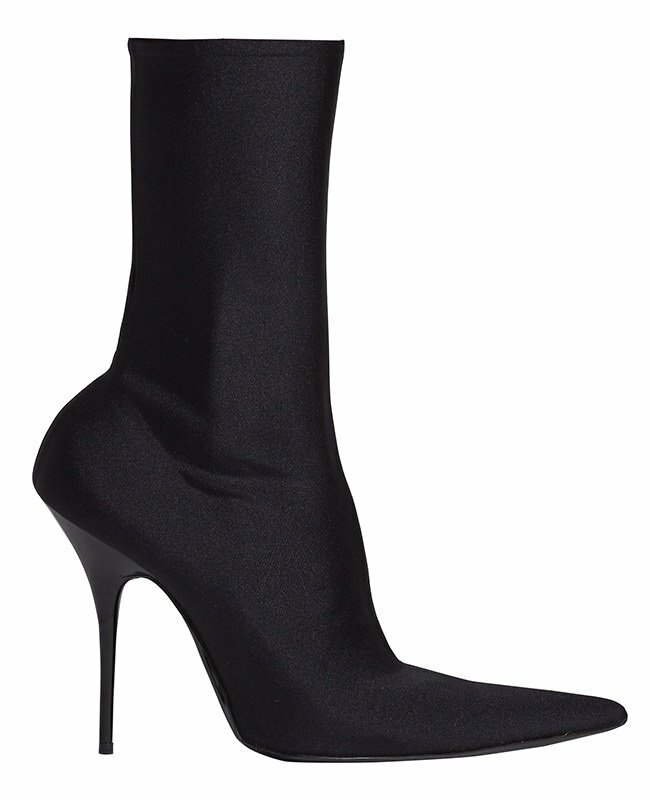 The ankle boots have a pointed toe and a design that looks as though you pulled tights over a pair of pumps. Just a couple days ago Rihanna was spotted with a Dior tote. This time the superstar opted for the brand’s “DiorAddict Lockbox” bag. 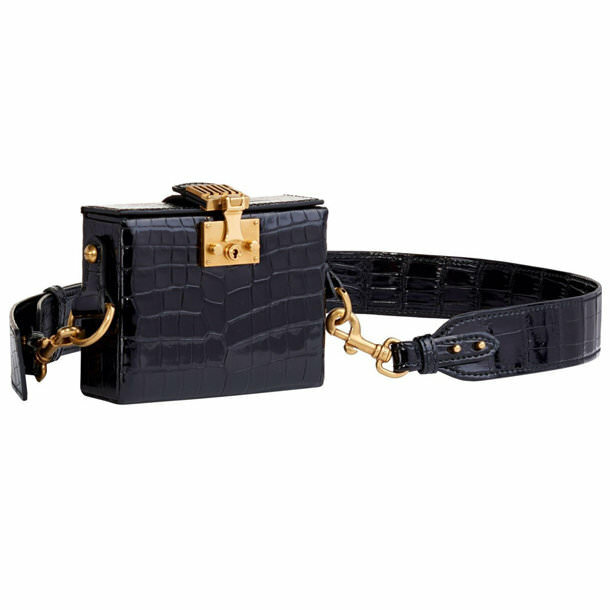 Made of crocodile leather, the small black handbag features a wide shoulder strap and aged gold-tone hardware. Prices for these Pre-fall 2017 bags start at €3,400. Contact the brand about pricing and availability. Now let’s get into those jewels. Jacquie Aiche designed three of Rihanna’s necklaces. Rih rocked a “Life is Beautiful” necklace like the two pictured here. These diamond-studded beauties are from a new collaboration with artist Mr. Brainwash that launched in December 2018. You’ll have to contact the brand at info@jacquieaiche.com or via the official website about pricing. These necklaces are currently only sold in store. Aiche also designed two of Rih’s emerald necklaces. First is a custom gold necklace with four horizontal emeralds surrounded by pavé diamonds. Pictured above is a similar necklace with vertically-placed emeralds. The other is a crescent moon necklace ($7,750). Made of 14k gold, it features several emeralds and white diamonds in various sizes.